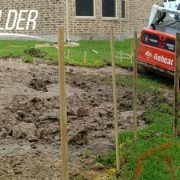 You are here: Home / Pool Side Blog / Pool FAQs / What time of the year is best to start building my new pool? So we’d like to answer that question for any of you wondering about how long will it take to complete and – are there any special benefits to building my pool in the winter season? The ambiguous answer to this question is that we can build a pool anytime during the year. 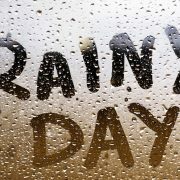 We are very commonly asked about the winter time and beginning of summer so we will cover all seasons in this article. 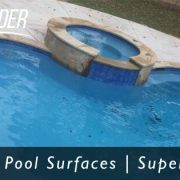 You will discover that choosing the time of year to build your new pool revolves around your life, because building inground pools near the Montgomery County Texas area is what we do everyday all year. Can you build a pool in the winter time? – Yes! Is it cheaper to build a swimming pool in the winter time? – No! From rumors to facts, let’s help to set the record straight about building inground gunite pools in the winter time. Let’s be real, pools are just not a hot item in the winter time. However, if you have a heated spa, or plan on an indoor setup that might change things a bit, but the pool typically is not used much if at all during the winter months. Although we have built many pools during the winter months of any given year, most people do not have their minds on the pool project during Christmas. Many who build a pool in the winter time are looking forward to the next year season, or are just die-hard hot tub enthusiasts. You can heat the pool too and it really doesn’t cost that much. Are you ready for the summer rush? We are! During the spring and summer months is when our clients think about their pools the most. If you don’t have one, you want one. If you have one, you want to be in it! In Montgomery County Texas the temperatures of spring are generally in the 50’s & 60’s and get warmer by the day until it’s as hot as anyone could ask for at the peak of summer. The spring time is a great time to start planning the pool project. We wrote another post about how long it takes to build an inground swimming pool that explains how we can get you swimming in as little as 6 weeks. Including the approval process you can expect your pool to be completed in 2 months or less. There’s still time! 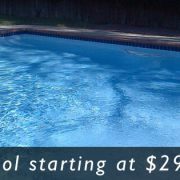 Summer time in Montgomery County lasts until August, and most pool owners just keep on swimming in their pools until October. With a summer this long it makes sense to own a swimming pool, that’s 2/3 of the year of fun! In the summer, things flow a little faster. Material providers are fully stocked from their distribution points and freight is moving more frequently. Skilled tradesmen are in the area and readily available. Although not much different from any other time of year, it’s just that things naturally move quicker in the summer. You may actually benefit from summer time sales promotions more than in the winter time. There is no wrong time of year to build an inground pool around Montgomery County, the best time to build the pool is when you are ready. 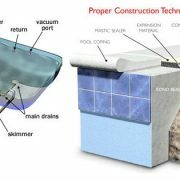 Getting ready to build a pool involves a lot of consideration, and we hope this has helped answer one of those pool construction questions you have. 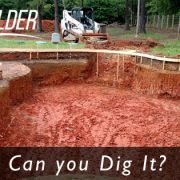 https://www.yourpoolbuilder.com/wp-content/uploads/2017/04/inground-pool-builders-Conroe-TX-77304-77302-77301.jpg 315 851 Your Pool Builder https://www.yourpoolbuilder.com/wp-content/uploads/2017/04/Web-Ready-Logo-Black.png Your Pool Builder2017-04-07 15:04:082019-03-21 14:08:01What time of the year is best to start building my new pool?